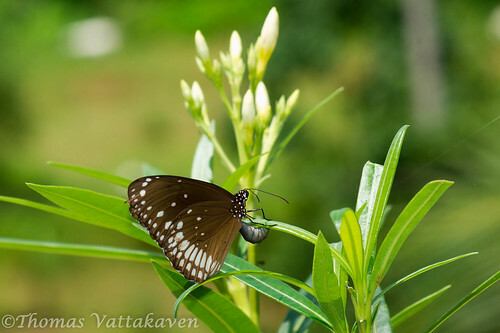 The Common crow (Euploea core) is a common butterfly found in South Asia. 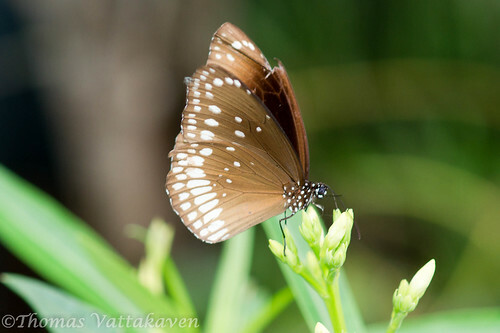 It is a black butterfly with brown undersides with white spots and markings along the margins of the wing undersides. 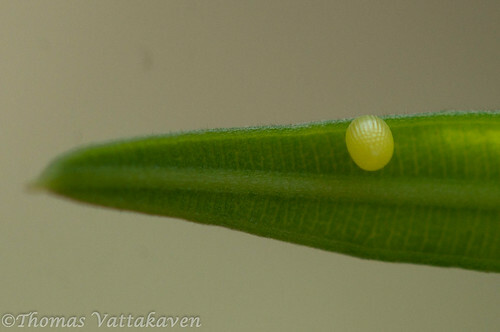 It’s life cycle begins with the female laying eggs on the host plant. 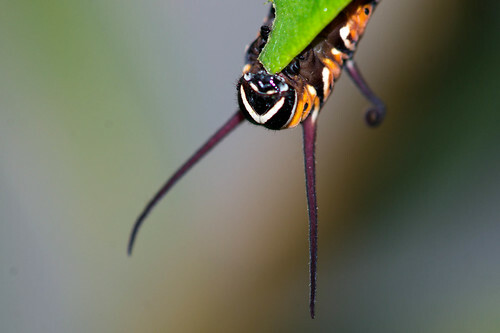 This butterfly has a variety of host plants. In this case it was a Oleander plant. 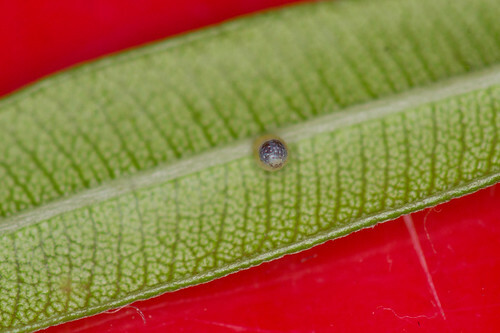 The egg is laid singly on the under side of the host plant. 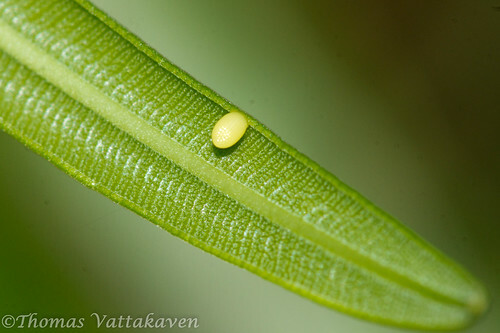 Young leaves are almost always chosen on which to lay eggs. 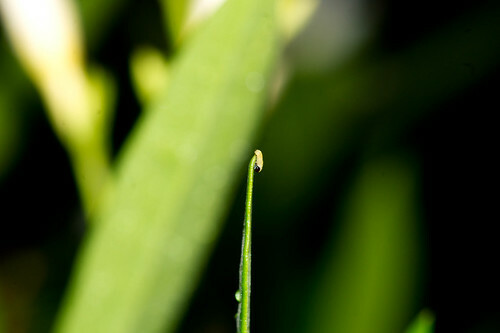 The egg is tall and pointed, with ribbed sides. It is a shiny white colour. 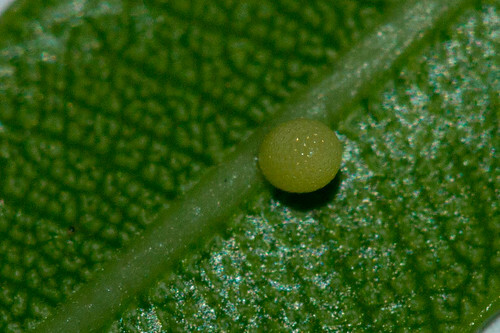 However, as the egg matures and is about to hatch, the top of the egg becomes black, with the rest of the egg showing a dull grey colour. 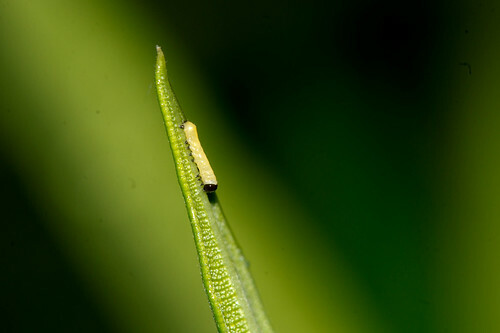 When the egg hatches, the caterpillar that emerges is a small white creature with black head and black feet. However, as it begins to feed, the colour begins to change. 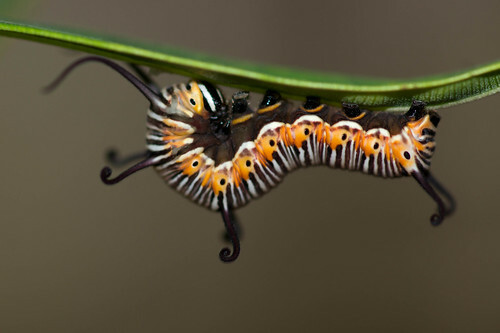 The caterpillar takes on a brown colouration with greyish stripes. Also, spiny extensions on its body start to grow in prominence. 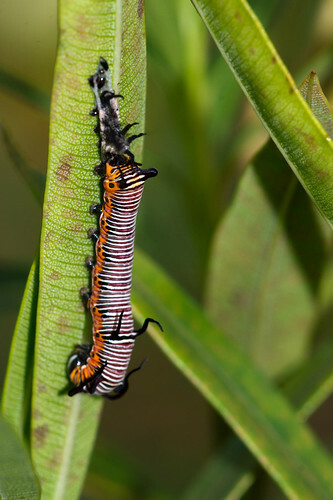 As the caterpillar continues to eat, the colouration becomes more bright with white and dark black/brown alternating bands; and the extensions also lengthen. These extensions curve backwards at its tips. 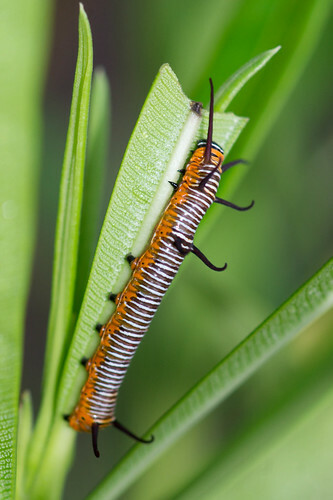 A noticeable feature of the caterpillar is that it always stays on the underside of the leaves. 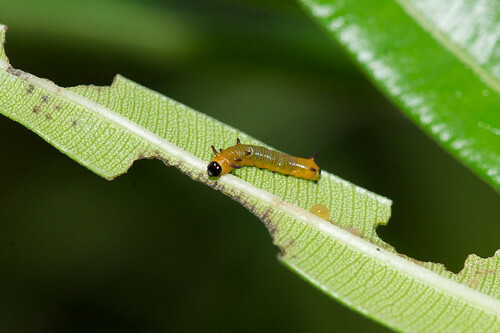 The caterpillars themselves are toxic as they are able to accumulate the toxins from the host plant into its own fatty tissue. 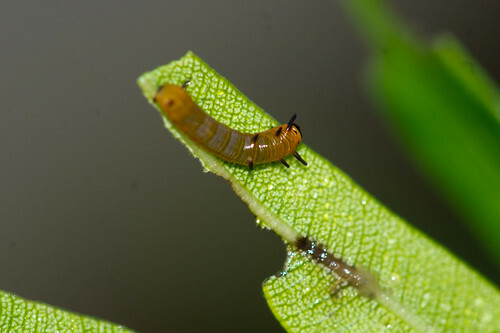 Since the leaves themselves are toxic, the caterpillar has designed a clever way in which to feed on it. 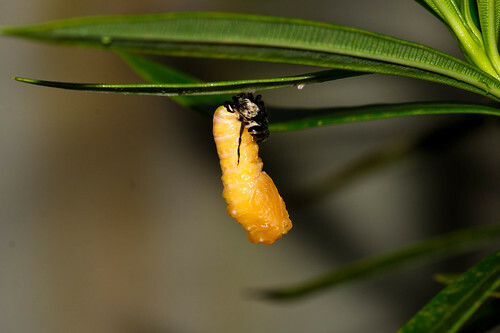 It first chews the midriff of the leaf, cutting off the supply of the plants poisonous latex to the leaf. It then nips the secondary veins, further restricting the flow. 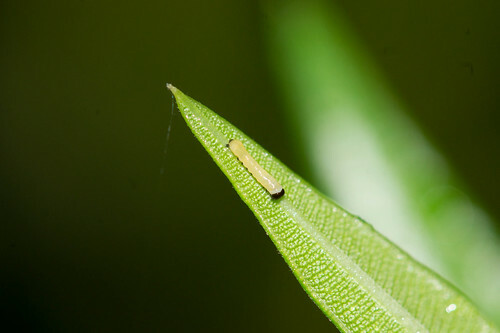 It then feeds on regions of the leaf where the plants natural defences have been shut off. 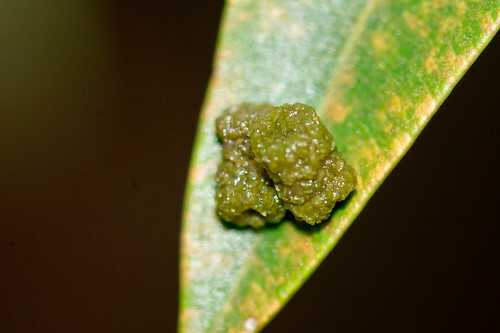 Shown above are the droppings of the caterpillar, produced as it continually ingests leaves and ejects these pellets as biomass. 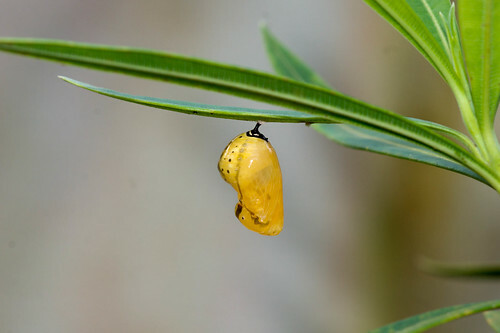 As the caterpillar grows, it continually moults and sheds its old skin as it grows bigger and becomes restricted within the old skin. 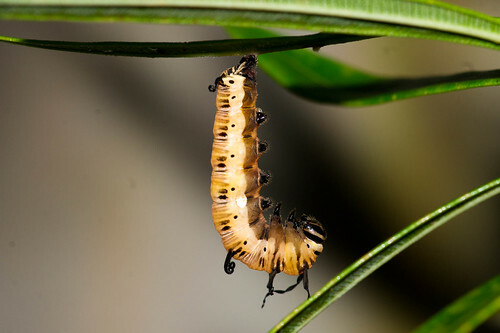 Finally, it is time for pupation and the caterpillar ceases feeding and chooses a leaf on the host plant itself, on which to pupate. It attachés itself by its posterior end ( via a cremaster apparatus) to the leaf and hangs upside down. 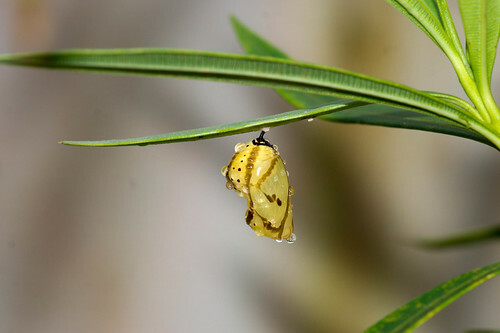 The skin then splits open to allow the pupa to emerge from within. 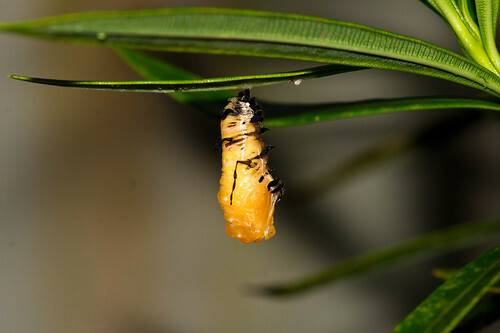 The old caterpillar skin is shed as the pupa twists about its cremaster. 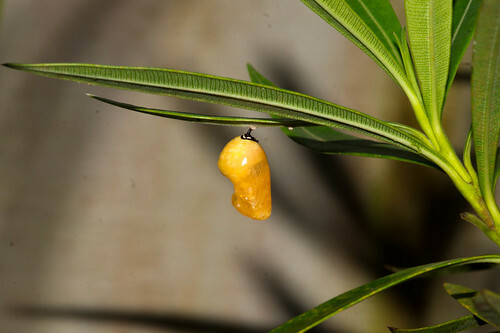 The pupa then hangs to dry as it slowly begins to resemble a finished pupa. 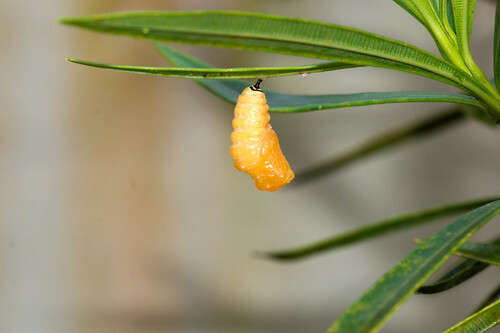 However, it picks up markings and colouration changes throughout its pupation period. …growing darker and taking on a dark metallic sheen as it ages and matures. 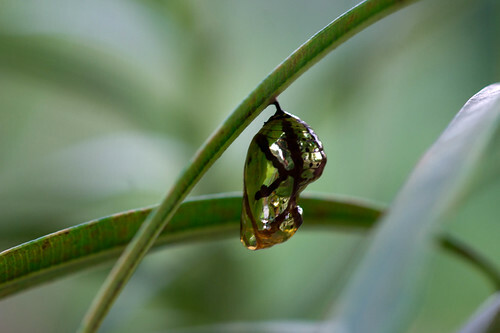 …before it finally emerges into a fully formed adult butterfly. The adult Common Crow is toxic and unpalatable to predators, attributing for its slow careless flight. 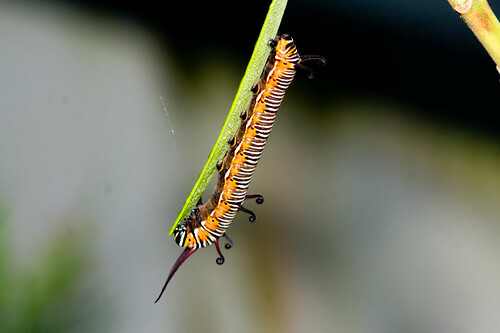 Hence it becomes a model for other species of edible butterflies to mimic. 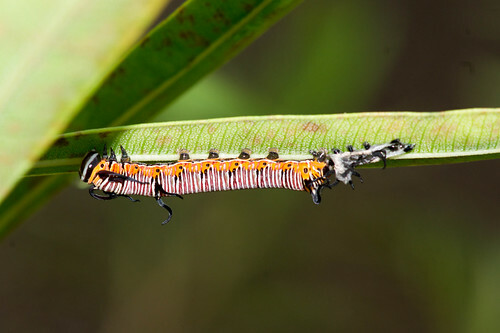 This form of mimicry where an edible species mimics an inedible species is called as Batesian mimicry. 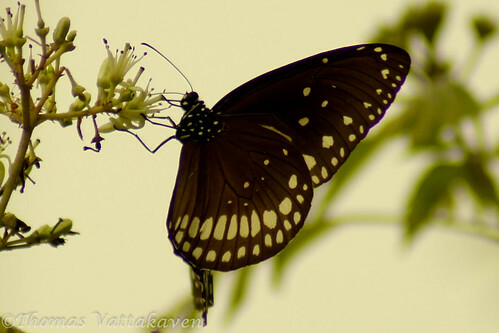 The Common Crow is mimiced by the following species of butterflies. Common Mime, (Papilio clytia), form dissimilis, both male and female. Malabar Raven, (Papilio dravidarum), both male and female. Common Raven, (Papilio castor), female. 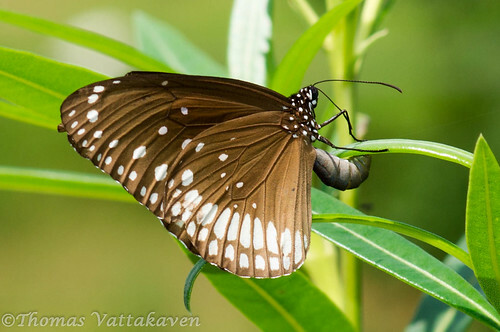 Great Eggfly, (Hypolimnas bolina), female. 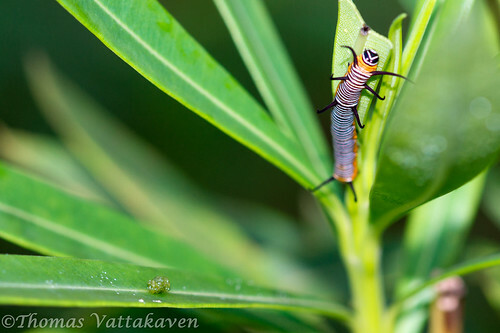 Ceylon Palmfly, (Elymnias singala) male and female.